Looking for a USED D1250B755 6TONS 8TONS 10TONS? 1. Torno D1250B755 Metal Lathe is equipped with an oil pump, forced lubrication as well as rapid traverse, terminal end insurance. 2. Cutting of size control by travel stop power, latch hook of tailstock and safeguard against excessive load etc. 3. Power, speed and rigidity of D1250B755 can meet the needs of both heavy and finish machining. 4. 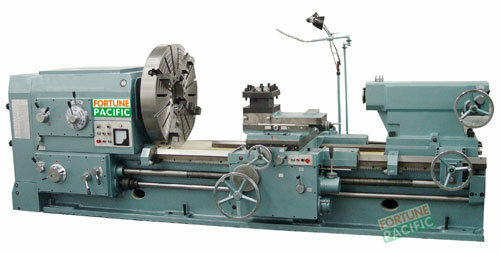 Torno D1250B755 Conventional Turning Lathe has features of fine appearance, concentrated control arrangement for easy operating and convenient maintenance. Looking to Purchase a New FORTUNE PACIFIC D1250B755 6TONS 8TONS 10TONS?